It’s only the second episode and I’m in love with this series but I have no idea why. It could be the characters and the situation they’re in are very intriguing. It seems that four years has passed by since Shion and Nezumi’s first encounter. 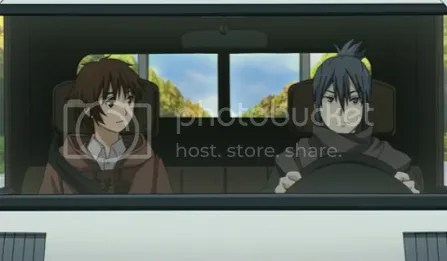 After letting Nezumi escape, the Security Bureau disqualified Shion and he and his mother ended up in Lost Town. 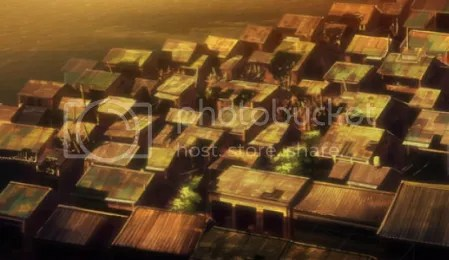 That’s quite sad how they lost everything just because Shion sheltered Nezumi for one night. Now that Shion’s escaped, he probably won’t be able to go back to Lost Town and see his mother. Hopefully she won’t get dragged into the mess. 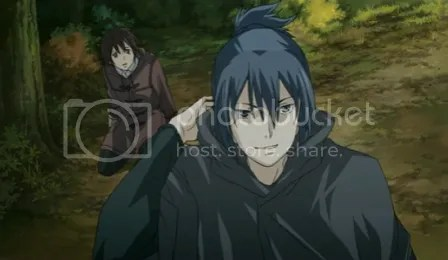 I wonder how he’ll go on and how he’ll spend the rest of his life with Nezumi. And I’m interested in how Nezumi was able to escape the bureau in the first episode. I think the fact that Nezumi looks kind of like Kanda from DGM is part of the reason why I’m going to stick with this series until the end. heh. This entry was posted in Anime, Currently Watching, No. 6 and tagged anime, No. 6. Bookmark the permalink. He’s better than Kanda – Kanda was lifeless husk of a character. At least Nezumi’s got wit and power. I quite like him. I can’t wait for Shion to get his white hair already. There wasn’t much focus on Kanda to develop his character and breathe life into his personality. But they look a bit similar appearance wise. I adore Nezumi~ Not only does he have wit and power but he also has humor. Does it mean that Shion is special since he doesn’t turn out like his friend that worked with him? 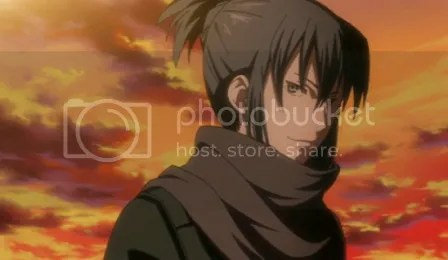 O.o I just realized that he does look a lot like Kanda from D. Gray Man. But Nezumi’s personality is way better. ^_^ Aha I already liked this on the first episode. well, after episode three, I’m not really sure if his personality is better. He’s pretty cruel in wanting the entire city to suffer from the bees’ attacks but it’s a bit understandable. Lol, I was wondering what she was going to say to him and for her to say something like that had me in a daze. It was completely blunt but it made the series that more interesting.